What’s cooler than having the BEST knockdown of the week?? How about getting props from Odell Beckham after the fight? 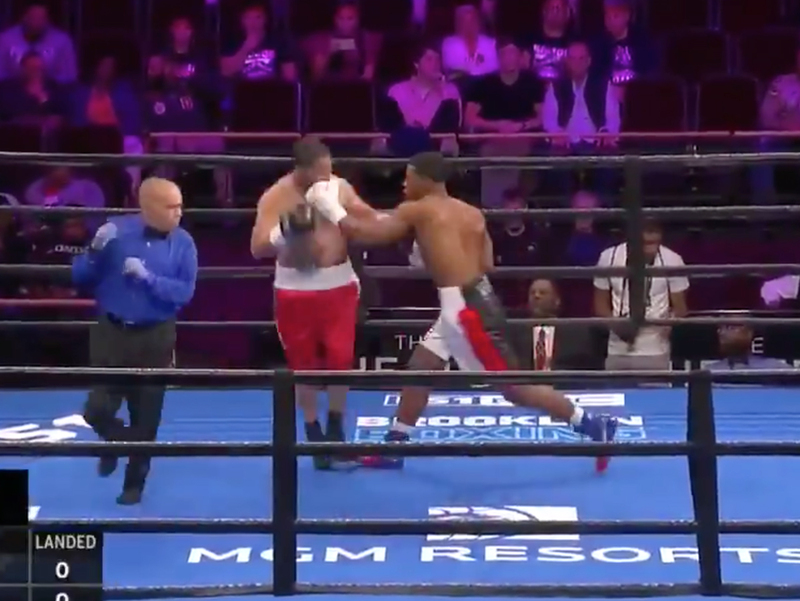 That’s what happened to Lorenzo “Truck” Simpson — who floored his opponent with a crushing left hook during his nationally televised fight on FS1 this weekend … making just about every single highlight reel. Simpson — one of Floyd Mayweather‘s prodigies — was fighting Jaime Meza on Sunday … and when Mezza threw a stupid, wild spinning punch, Truck timed it perfectly and smashed the dude’s face in. After the fight, Simpson got all sorts of love from big stars including boxing champ Caleb Plant, Gervonta Davis and NFL superstar Odell Beckham Jr. … who’s also a big fight fan. “It’s going nuts right now,” Simpson said. Keep your eye on this dude — Simpson is 3-0 as a pro … but he’s got BIG power and is on track to be a future superstar in the sport. In the meantime, watch the knockdown again … it’s good stuff.